Did you leave the Garage Door OPEN? More and more people are extending their smart home out to the garage. There are a surprising number of connected garage door opener solutions. The features are what you would expect with smart technology, and most of the solutions are easy retrofits. Let’s take a closer look at what is offered by one of the industry leaders. Chamberlain and their various product lines (including LiftMaster, Craftsman, etc.) use MyQ Technology and have manageable price points for the cost conscious smart home owners. 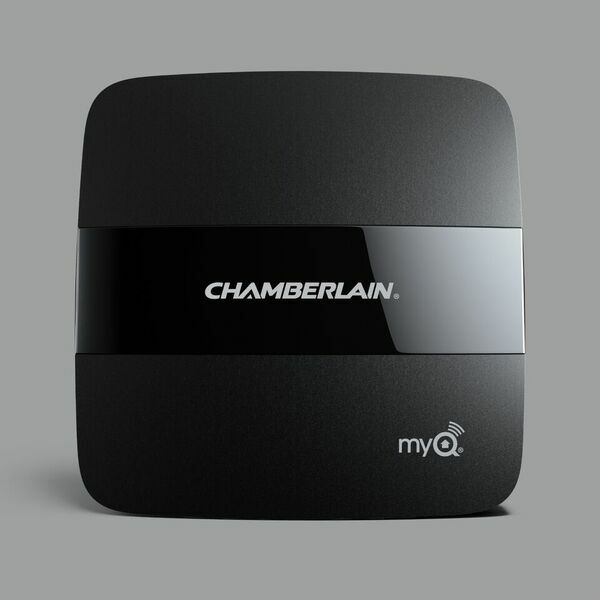 The MyQ Home Bridge, shown above, is an effective solution for most Chamberlain and LiftMaster garage door openers, which are two of the most familiar brands across the country. The MyQ Smart Garage Hub, shown below, is your solution for most other front-line brands manufactured after 1993, when new laws governing the safety features of garage door openers were enacted (for example requiring sensors to prevent the door from closing with an object blocking the path of the door). If you have an opener manufactured prior to 1993 and want the ability to control the door without being close enough to watch its operation, consider upgrading to an opener with current safety features. Once the hardware is in place, download the Chamberlain MyQ App that allows you to see the status of the door, the activity history, open or close it from afar, and set up custom alerts. With an inclusive strategy you can connect the MyQ app to interact with many other products and platforms (for example Nest). So, will you stop reaching up to hit the old school opener when pulling into your driveway? Likely not. However, the next time you wonder “Did I leave the garage door open?”, it will only take a quick look at your smart phone to put your mind at ease. Have no fear about closing that door from afar; when you signal the app to close the door there will be beeps and flashing lights for about 15 seconds before the door starts to close. That feature coupled with the post 1993 regulated safety features will ensure no one will be surprised or hurt by that closing door. 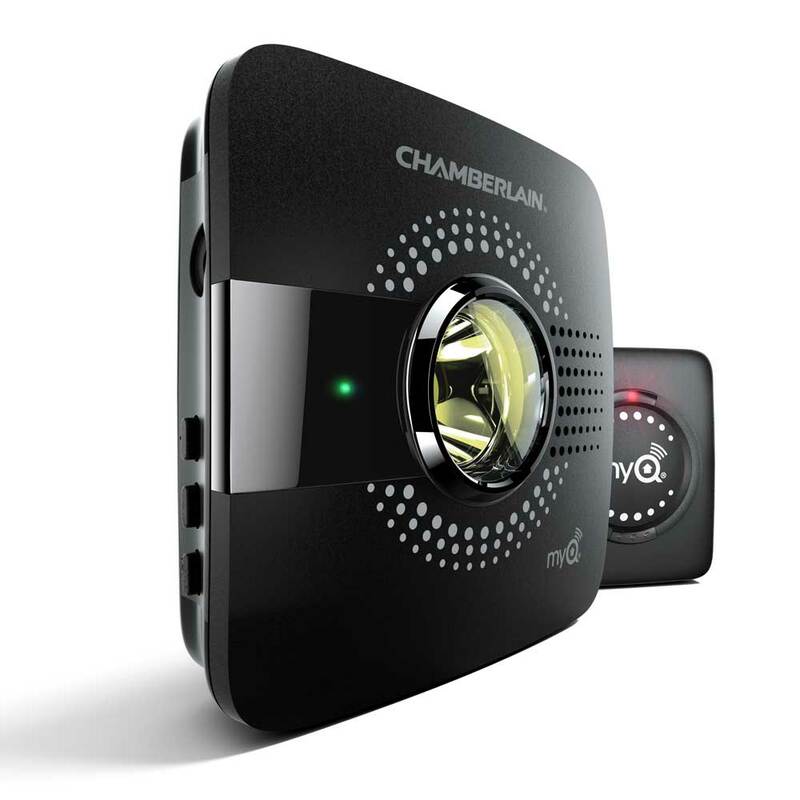 The Chamberlin MyQ products are smartly thought out, designed and constructed. However, if you would like to take advantage of advanced features, such as geofencing, you will have to look at Chamberlain’s higher priced competition. In the end, it’s a matter of preference. Once you have made your decision, contact your local home technologist Smart Home Solutions LLC for installation. We are Techs Who Connect!